According to the judges a school website is a window into the life of that school. This website is not a static brochure but captures vividly the rich variety of activities taking place in the School. The site is based on a blog but utilises a range of tools ranging from RSS to Twitter and Facebook. Events from every class are represented in pictures, text and videos. 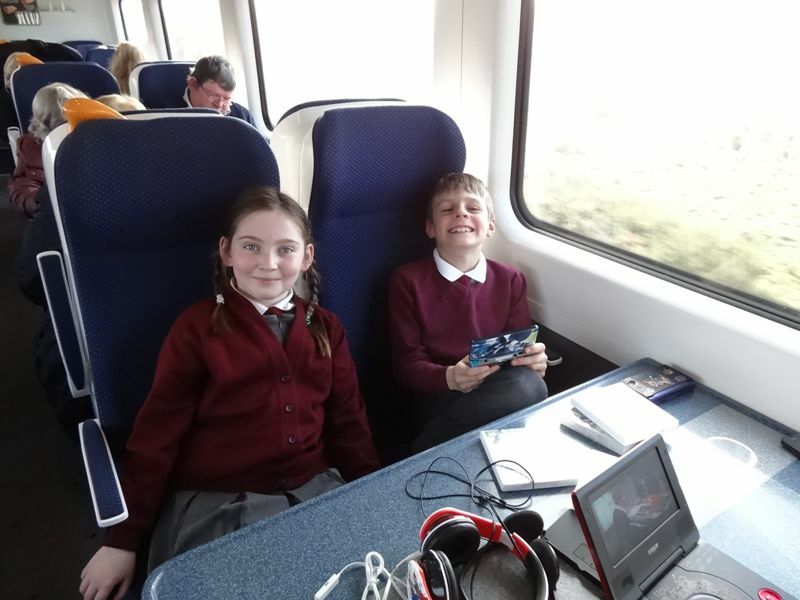 Individual student’s work is also in evidence throughout – some uploaded by themselves. Parents are accommodated not only through newsletters and Google calendars, but have an online service for school bus, book rental and other payments. 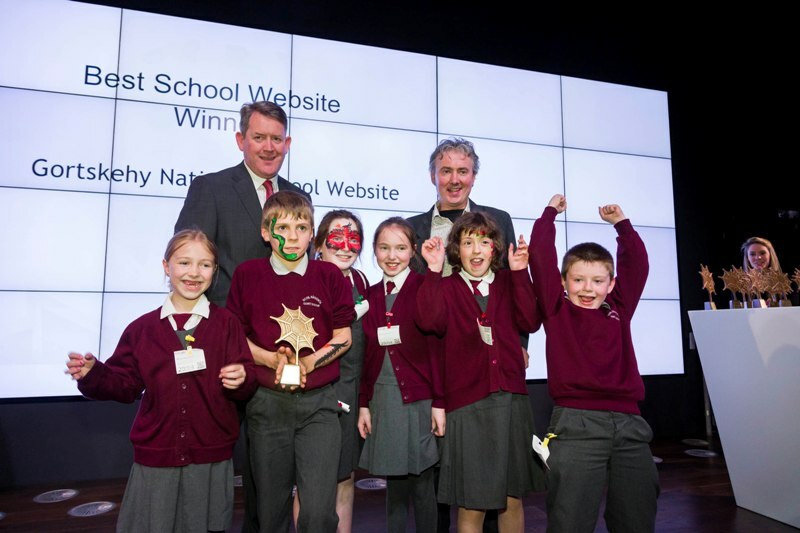 This site demonstrates how comprehensive a school website can be. What makes this one extra special is the fact that this school is only a 2-teacher school. 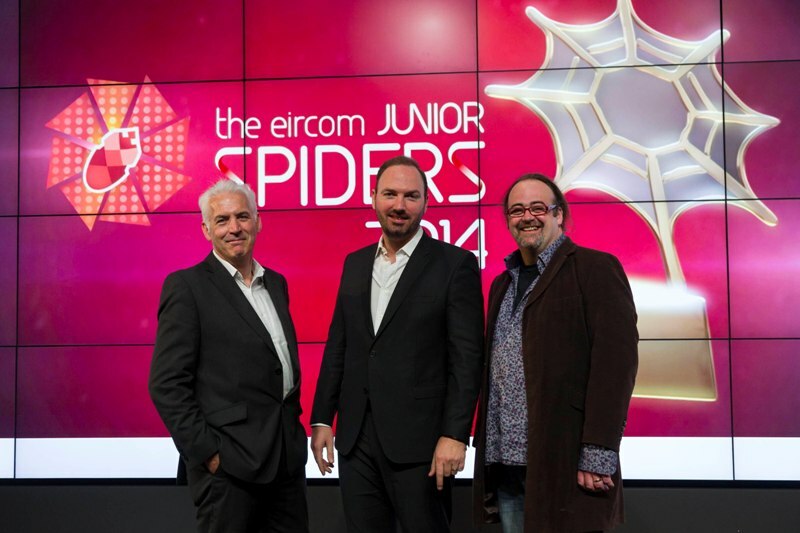 Judges: Pat Seaver, Director of Blackrock Education Centre; Colin Meagle, Trilabyrinth; Declan Tuite, DCU – School of Communications. 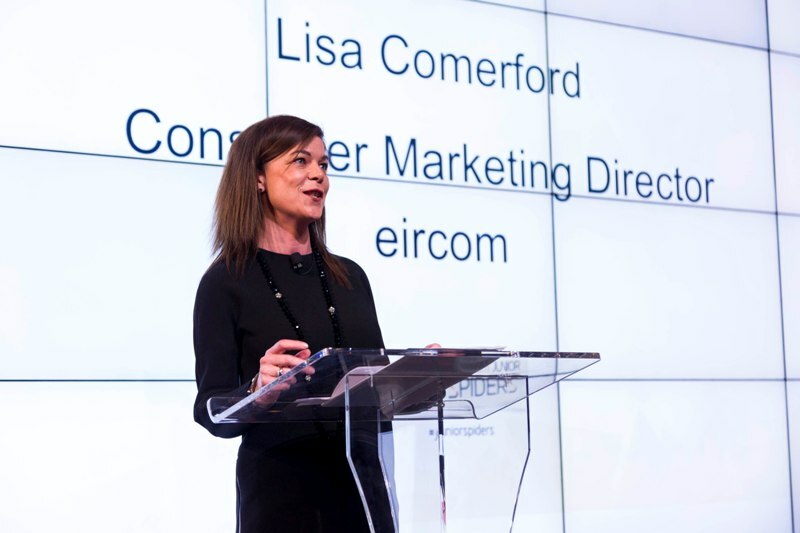 Lisa Comerford, Conusmer Marketing Director, Eircom. 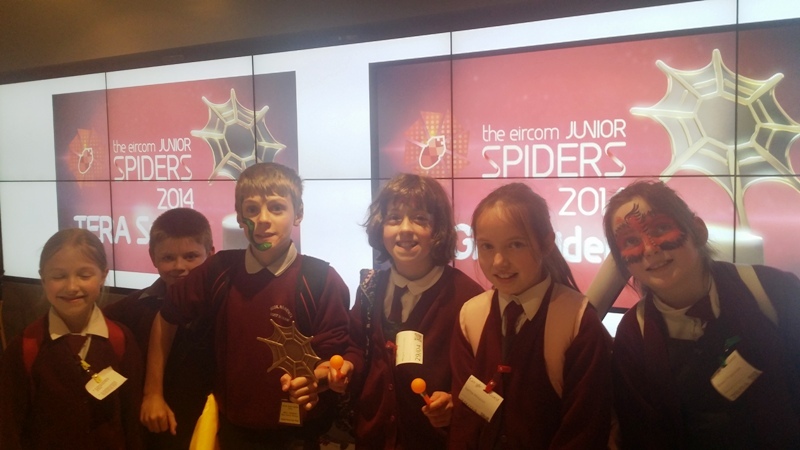 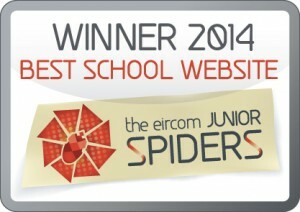 Junior Spider Best School Website 2014! Receiving our award from Mr. Paul Phelan, Intel. 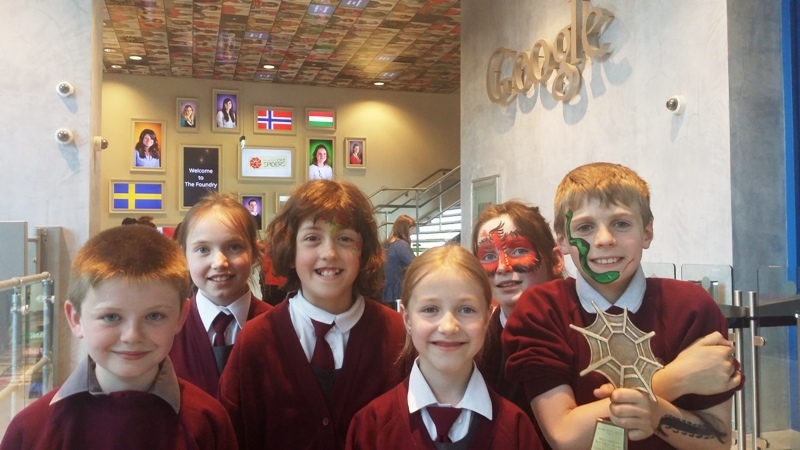 At Google HQ with our award. Google HQ is called The Foundry. 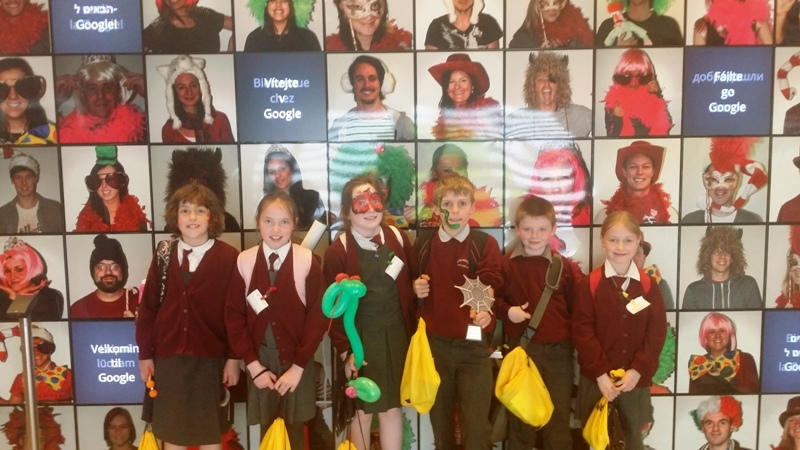 At the Google Welcome Wall. 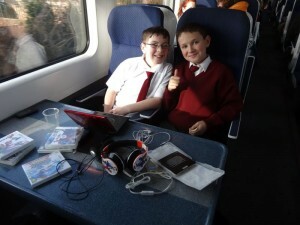 Here we are on the train to the RDS for this year’s Junior Spider Awards. 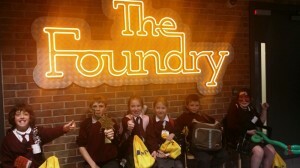 It’s a lovely morning and we’re all a little tired from getting up at seven but excited and looking forward to the day! Thomas and Jamie on the train. 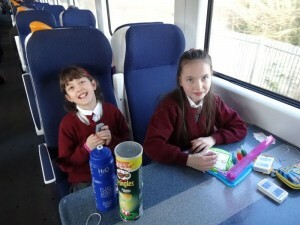 Megan and Lorna on the train. 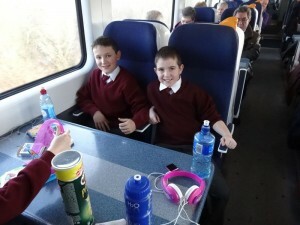 Jamie and Joseph excited for Dublin. 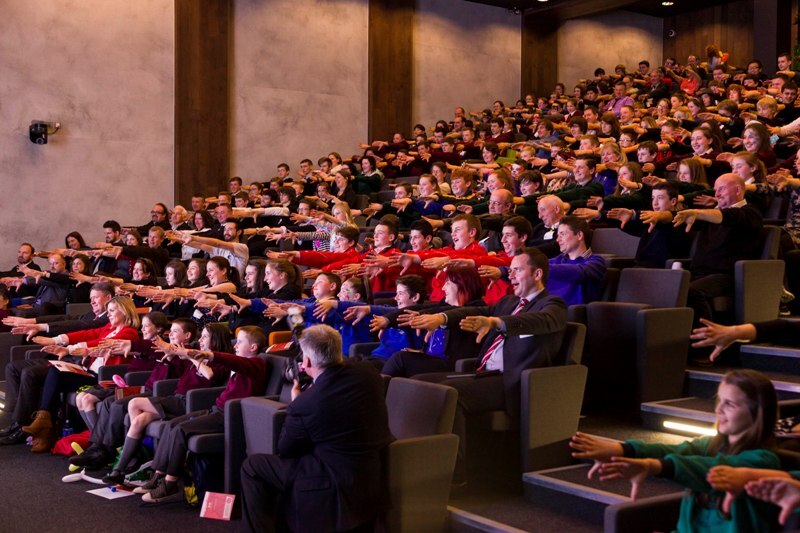 On December 13th 2011 our school website was shortlisted for the second time in the ‘Best School Blog’ category of the Junior Spider Awards which took place at the Helix, Dublin. 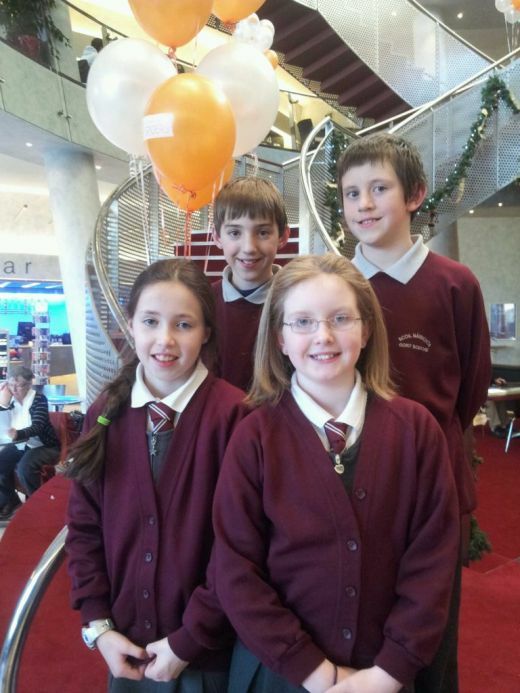 Marie, Rachel, Enda and I, Justin, represented the school. Here is a video of our trip. 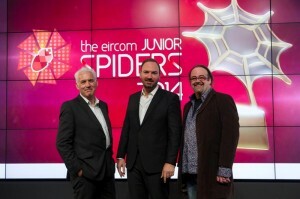 Presentation by Pádraig Corkery, Sponsorship Manager, eircom. 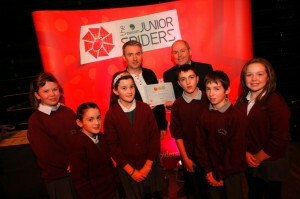 Group photo with Aidan Power, RTÉ.